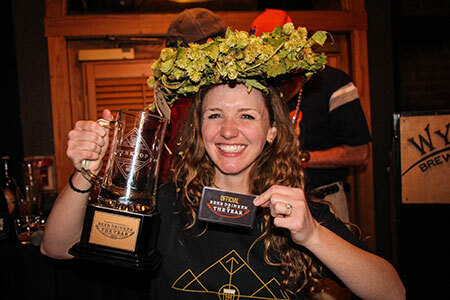 Wynkoop’s Beer Drinker of the Year competition is back! This year, we’re looking to crown a winner who has the perfect mix of beer knowledge, passion, and, of course, personality. From home brewers to head brewers, we’re looking for a variety of perspectives, tastes, and experience with beer. If you win, you’ll be rewarded. Handsomely. 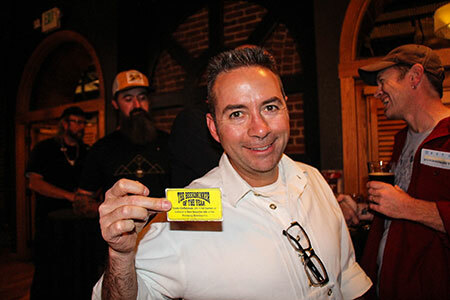 That’s right, you’ll enjoy FREE beer for life at Wynkoop Brewing Co., the opportunity to work with Wynkoop’s Head Brewer to have your own beer recipe brewed, and two tickets to next year’s Great American Beer Festival. You can enter to become our #BeerDrinker2017 by taking our quiz here. Submission deadline is September 10th. If you don’t want to enter to win but still want to be a part of the fun, you can come to our National Finals event to cheer on our Top 3 contestants as they vie for the title, prizes, and eternal glory. It’s a showdown like no other that will have you raising your glass one minute and throwing your head back in laughter the next. The event will be hosted at Wynkoop Brewing Company in downtown Denver, CO on Wednesday, October 4th at 4:30pm. RSVP here. 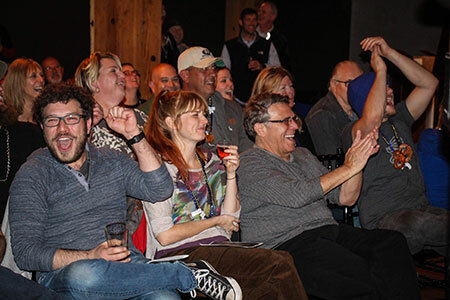 Whether you become a contestant to prove your beer worthiness or come out to support those who have, this is an event any beer lover won’t want to miss!